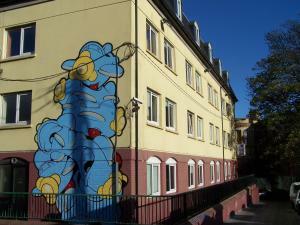 Sheila's Cork Hostel is less than 5 minutes' walk from the centre of Cork. It has a sauna, and offers free Wi-Fi, free city maps and free movies in the cinema room. 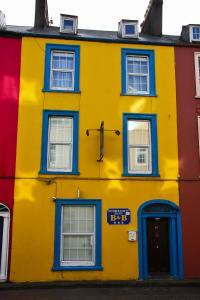 Sheila's Hostel is a short walk from St. Patrick's Quay and Cork Opera House. The bus and train stations are very close by. The cinema room has lots of comfortable bean bags to sit on. Films are shown every day on a 42-inch plasma-screen TV. There is a self-catering kitchen and a terrace. As well as free Wi-Fi, low-cost internet use is available from the hostel's own computers. Sheila's Tourist Hostel won a Recommended award by Let's Go in 2008. 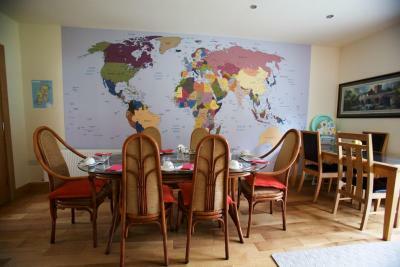 Right in the centre of Cork, this bright and lively hostel offers 24-hour reception, light breakfasts, and free Wi-Fi. 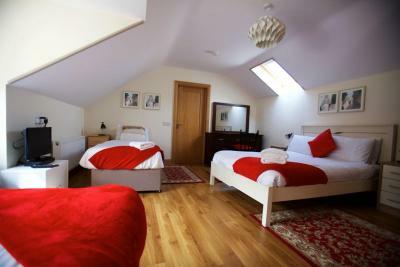 You can make use of free luggage storage at Kinlay House Hostel, as well as free bed linen and a self-catering kitchen. 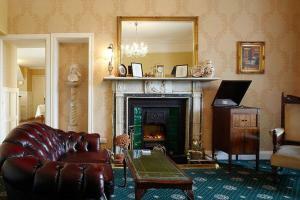 Both private rooms and dormitory beds are on offer, and Kinlay House also has a TV lounge and several common areas. Located in the Shandon quarter of the city, the famous Cork English Market is less than 15 minutes' walk away. Cork Opera House and 3 shopping centres are less than 10 minutes away on foot. Day tours of the surrounding area including Blarney, the Cliffs of Moher, and the Ring of Kerry can be arranged at reception. Internet access from computers is available at the hostel, and a chargeable laundry and drying service can also be used. Guests can lock-up valuables at the 24-hour reception, exchange currency, or hire towels. Stylish, spacious rooms, landscaped gardens, and an à la carte restaurant are offered at this 4-star hotel. Less than 5 minutes’ drive from Cork’s centre. There is free parking on site and free Wi-Fi throughout the hotel, which is entirely non-smoking. 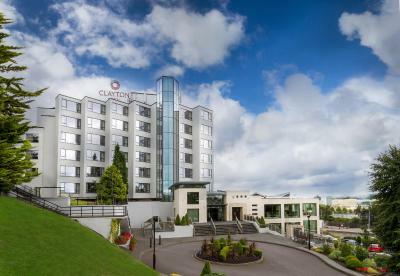 With elegant, modern décor, the rooms at Clayton Hotel Silver Springs include fluffy duvets and hypo-allergenic pillows. Guests can enjoy wide-screen TVs and free Wi-Fi. 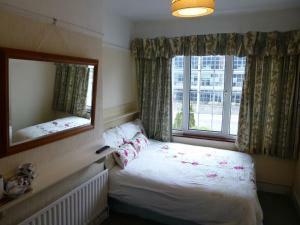 Some rooms boast views of the River Lee or the gardens. 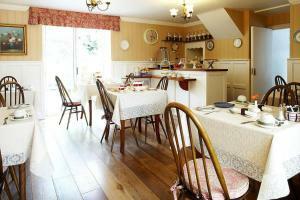 The restaurant serves an à la carte and a fixed price special menu, along with carvery lunches and specialty coffees. With a central feature fireplace, The Lobby Bar provides a bar menu, Irish whiskeys, and occasional live music. Cork Airport is a 15-minute drive from the hotel. Cork’s famous English Market can be reached in 10 minutes by car. Cork’s central shops and attractions are also 10 minutes’ drive away, while University College Cork is a 15-minute drive away. Stay Cork-Your Stay, Your Way is located 2 minutes' walk from Cork's main shopping street, as well as a wide variety of restaurants and pubs. 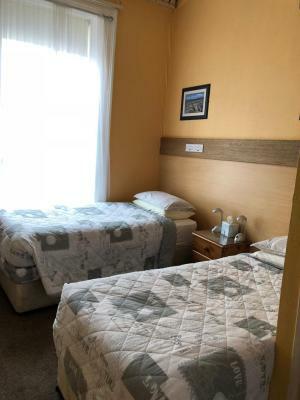 Free on-street parking is also available (see Important Information for details).Each Stay Cork apartment features a fully equipped kitchen, plasma-screen TV and a bathroom with power shower. 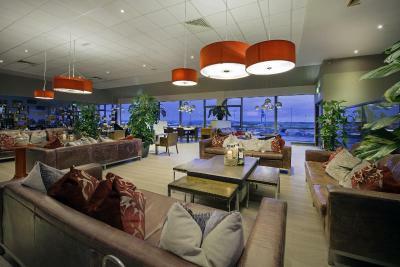 A separate lounge area is provided, as well as towels and linen. The apartments are 5 minutes' walk from bus and rail stations, and a 15-minute taxi ride from Cork International Airport. Many art galleries and museums can be found in the city centre, as well as nightlife and pubs offering traditional Irish music. This lovely Victorian building is in quiet, private walled gardens and is 2 miles from Cork city center, with buses stopping outside the door. It is now a 4-star guesthouse and has free Wi-Fi and parking. 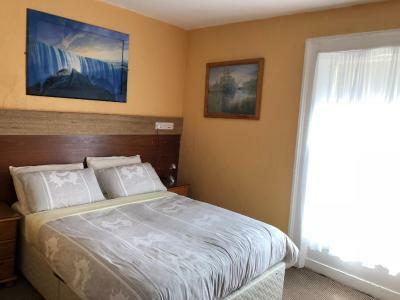 Belvedere Lodge has 20 large rooms with private bathrooms, all with cable TV, DVD players, hairdryers and tea/coffee. All rooms are attractively furnished and have views of the walled garden, with its gazebo, ponds and cascades. Some of the rooms also have private access to the gardens. Belvedere Lodge is known for the warm welcome it offers guests. 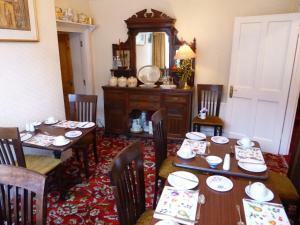 All guests receive tea/coffee and homemade cake in their room upon arrival. 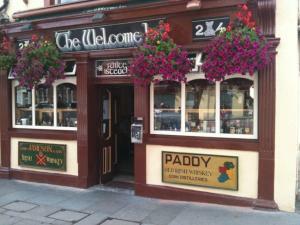 The Creedons Traditional Irish Welcome Inn features a family-run BnB in the heart of the historic center of Cork. 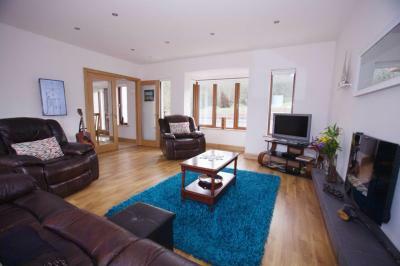 It has a bar, a shared lounge with TV and free Wi-Fi access is available throughout. The rooms have a flat-screen TV with satellite channels. They all have a private bathroom with a shower, city views and a wardrobe. At Creedons Traditional Irish Welcome Inn BnB, an airport shuttle can be arranged. Bicycle rental is available and there is also a tour desk. Every morning, guests will enjoy a traditional Irish breakfast made of locally-sourced produce. The bed and breakfast is 11 miles from Fota Wildlife Park, half a mile from Cork Kent Train Station, and St. Finbarr's Cathedral is just over half a mile away. Cork Airport is 6 miles away. 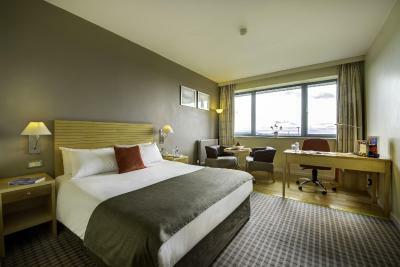 Just a mile from Cork Airport and a 5-minute drive from Cork City, this Travelodge features an on-site restaurant, free parking and a 24-hour reception. There is free taxi phone and an arrivals and departures screen for Cork Airport. 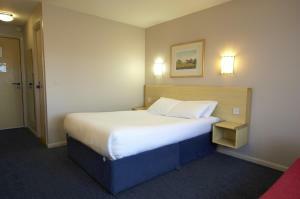 Rooms at Travelodge Cork all feature an en suite bathroom, and hairdryers are available on request. TVs include Sky News and Setanta Sports channels, as well as free tea and coffee. Eddie Rockett's is an American-style diner restaurant, serving food throughout the day. Drinks are snack are also available from vending machines in the lobby. Cork's centre can be reached in just 5 minutes by car, along with its famous English market. 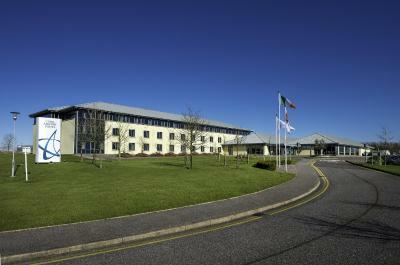 Right next to Cork Airport, Cork Airport Hotel provides a 24-hour airport shuttle service and long-stay parking. Guests can enjoy modern rooms with satellite TV, and early morning breakfasts. 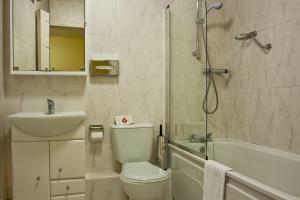 Each of the spacious rooms at Cork Airport Hotel features free WiFi, and a private bathroom with a hairdryer. Guests can make use of tea/coffee facilities, as well as a work desk. The on-site restaurant and bar serves breakfast, lunch and evening meals, as well as snacks. A Grab and Go Breakfast is also available for early starts. Olivo Italian Eatery, a 70-seater restaurant, serves an extensive Italian menu using fresh ingredients. Cork’s centre is just a 15-minute drive from the hotel. The airport itself can also be reached in 10 minutes on foot, and the N27 road is less than 5 minutes’ drive away. 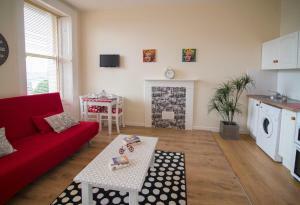 Each apartment at Victoria Lodge has a living room, full kitchen and cable TV. Cork city centre is 5 minutes' drive away, and you can park for free outside the apartments. 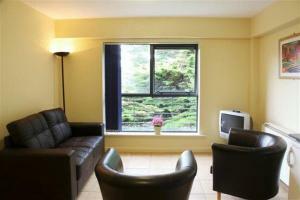 Victoria Lodge is university campus accommodation, and just 15 minutes' walk from University College Cork. A common area offers free internet access, while vending machines and a self-service launderette are within the complex. Other facilities include a prepay-card telephone facility, bed linen and towels. Cork Kent Train Station is about 10 minutes' drive away, and has services to Dublin. The boutique Isaacs Hotel in Cork is just a 5-minute walk from the city centre, including the English Market and Shandon Steeple. It offers spacious rooms, the Greene's Restaurant and a courtyard with a floodlit waterfall. Kent Railway Station and Cork Bus station, with buses to Cork Airport, are only a 10-minute walk from Hotel Isaacs. The hotel offers spacious rooms, cable TV, laptop safes and Wi-Fi Access. Isaacs Apartments, which are part of the hotel complex, offer a fully fitted kitchen, sitting room/dining room and 2 bedrooms. The critically acclaimed, Greene’s Restaurant which is and looks onto its own floodlit waterfall. Located under a stone archway, with its own courtyard garden and waterfall, Greene's restaurant offers a unique setting in Cork with specialty fish and seafood dishes. The hotel has no leisure facilities in house but guests have access to Leeside Leisure across the road for a small additional fee. 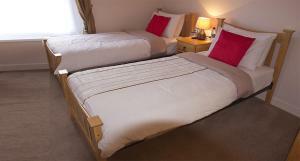 The hotel is well-situated for access to various golf courses, including Fota Island, Douglas. Just a 2 minute walk from University College Cork, Lisadell House offers full Irish breakfasts, free Wi-Fi, and free parking. Cork city center is only a 15 minute walk away. 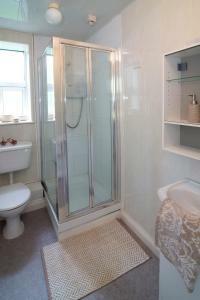 The bright rooms each provide a private bathroom. Guests can use a TV with satellite channels in the room, along with a hairdryer. 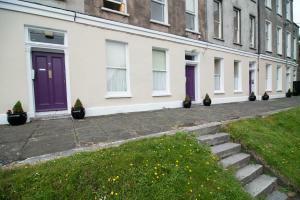 The historic park area of The Mardyke is a 2 minute walk from Lisadell House. Cork Airport can be reached in 10 minutes by car, and Cork Ferry Port is a 15 minute drive away. Cork Rail and Bus Station is half a mile away, and Blarney is a 20 minute drive away. 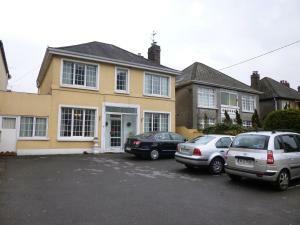 Woodview House Bed and Breakfast is located 1.2 miles from Douglas Village and 5 miles from Cork City Centre. The rooms feature air-conditioning. Free WiFi and free private parking are available. 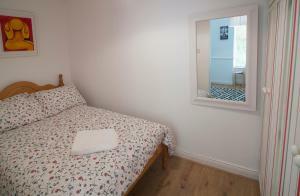 The rooms have a flat-screen TV and tea/coffee making facilities. Extras include free toiletries and a hairdryer. Guests will find numerous restaurants and bars in Douglas Village. The area is popular for hiking and golf and the historic walkway is 5 minutes away. 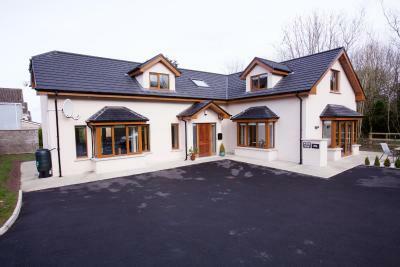 Cork Airport is 5.6 miles from Woodview House Bed and Breakfast. Around 10 minutes' drive from the centre of Cork, Number Forty Eight provides bed and breakfast accommodation with free on-site parking and Wi-Fi. Each guest room has a TV, wardrobe and desk. 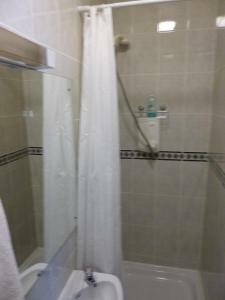 All have an en suite shower or bath with hairdryer and complimentary toiletries. Full Irish breakfast is served each morning. Number Forty Eight is around 13 minutes' drive from the Fota Wildlife Park and 10 minutes from the Cork Butter Museum. The city's other attractions include the Cork City Gaol and St Fin Barre?s Cathedral, both less than 15 minutes away. 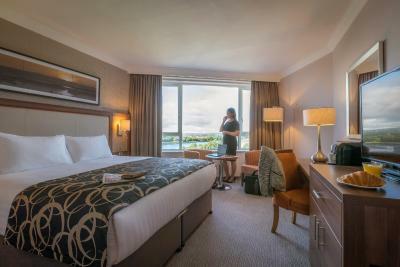 Jurys Inn Cork enjoys a superb location on Anderson's Quay in the heart of Cork city, overlooking the River Lee. Vibrant business and shopping districts and a host of restaurants, bars, museums and galleries are all within a few minutes' walk. 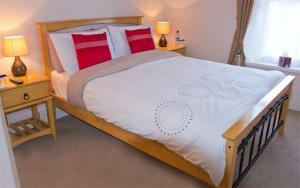 Jurys Inn is the perfect base from which to visit the city on business or leisure. In the very heart of Cork city, The Imperial Hotel is less than a one minute walk from Cork's main shopping district. It features spacious rooms and the luxurious Escape Spa. 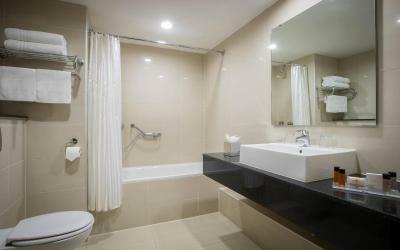 Rooms at the Imperial feature showers and baths. Guests can relax with interactive TVs, free Wi-Fi, and a digital music library. In the restaurant, Irish and Mediterranean cuisine is created using fresh fish and vegetables from the local market. Guests can enjoy coffee in Lafayette's Brasserie, or a light lunch at The Food Hall. At the spa, guests can indulge in treatments including an aqua body polish, hydrotherapy and Aveda massages. 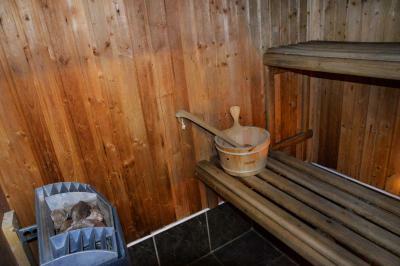 The spa also features an aroma and salt grotto, as well as tropical, rain, and mist showers. Kent Train Station, The Beamish Brewery and St. Finbarr's Cathedral are all under a 10 minute walk from the hotel. 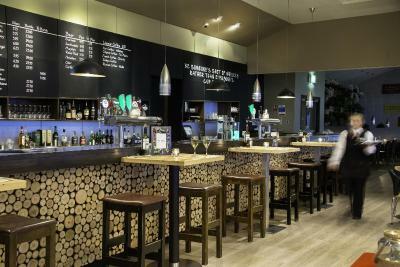 Cork Airport is just a 10 minute drive from the Imperial.